August, 1945. Japan has just surrendered to the Allied forces after suffering such a devastating and horrific loss of life and sense of nationhood. Fire Flowers explores a post-war Japan and the many people from both sides tasked with rebuilding their lives. Satsuko Takara and her teenage brother, Hiroshi, have lost both their parents, and each other, during the firestorm that devastated Tokyo five months before. Documenting the destruction of the war is Hal Lynch, a haunted U.S. photohjournalist, who stumbles upon a shocking story and is determined to bring it to light. And Osamu Maruki, a dissolute writer and once Satsuko’s lover, has returned from the South Pacific a broken and changed man. The war-torn streets of Tokyo come alive in this dazzlingly observed debut novel as the lives of these former enemies collide and come together. Cinematic, brutal, yet beautiful, Fire Flowers powerfully portrays the shock, the struggles, and the difficult choices that arise from the destruction of war. Ben Byrne was born in London in 1977. He studied Drama at the University of Manchester and then lived in San Francisco for several years working as an international market researcher and ethnographic film maker. This job took him to Japan, where he spent considerable time exploring its history and culture. He returned to London to dedicate his time more fully to writing, and his short fiction has appeared in Litro magazine. Fireflies is his first novel. 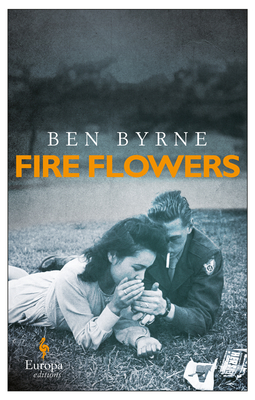 "The novel offers a kaleidoscope of postwar Japanese life [...] Bryne's writing is clear and charming." "An impressive and nuanced account of a dark moment in history—and a promising literary debut." "It was a gripping historical story, heart-breaking and heart-warming in equal measure. A remarkable debut—I loved it."